After a year of negotiations over the UK’s withdrawal from the EU, there is still much uncertainty over what the EU-UK relationship will look like after formal separation in March 2019. When Prime Minister Theresa May first took office in July 2016 shortly after the Brexit referendum, she said she would seek a close relationship with the EU, but would pull the UK out of the European customs union and ensure the country would no longer be subject to rulings from the EU Court of Justice. At the time of writing this, achieving these goals is proving to be a complex matter, and there are growing indications that UK participation in the EU customs union and acceptance of EU Court of Justice will not cease completely by B-day, i.e. the date in when the UK ceases to be a EU member. Over the past year, the UK has accepted that a transition period will be necessary for a new relationship with the EU to take effect. This in effect pushes back the UK’s full withdrawal from many of the main elements of EU membership to after December 2020. Immediately after the referendum results, pro-Brexit politicians in the UK said they could use a tactic of divide and conquer to undermine the EU. This has never materialised. The EU has proven to be remarkably united and steadfast in defending its negotiating position. Any hope that British euro-skeptics might have had of buying out individual countries has failed, at least so far. On the other hand, some strong divisions are apparent in the British camp, both within the ruling Conservative party and in the opposition Labour party. Among the conservatives, a group of about 60 members of parliament support a “hard Brexit”, i.e. a complete separation with Europe, and the immediate launch by the UK of trade negotiations with major countries around the world. The rest of the party’s parliamentary membership supports a variety of positions ranging from some kind of “soft Brexit” (i.e. 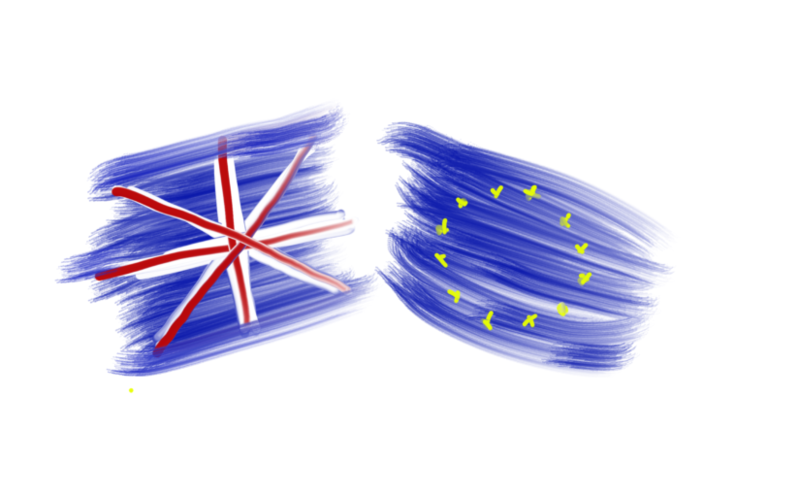 an exit with the continuation of close ties with Europe) to continuation of UK membership. A minority of Conservative members is pro-European. In the Labour camp, the left-wing faction headed by party leader Jeremy Corbyn support a break from Europe, so as to regain the freedom to nationalise and subsidies national industries, but favour a continuation of the customs union with Europe. Many more moderate Labour MPs oppose Brexit. Britain’s third party, the Liberal Democrats, is strongly pro-European. All in all, a majority of MPs opposes Brexit. Such divisions in the British camp increase the appearance of EU unity – something that EU negotiators like to stress when they taunt their UK counterparts to come up with a clear, long-term vision of the future UK relationship with Europe. The fact is, the UK gives the impression is still not clear what relationship it wants with continent. The border between the Republic of Ireland and the UK province of Northern Ireland has emerged as a major element in the Brexit process. The issues goes back to the Good Friday Agreement of 1998, when Northern Irish Unionists and Republicans agreed to end the sectarian violence there through a deal that included the elimination of the border between the two Irelands. This elimination was made possible by the fact that both the UK and Ireland were part of the EU’s customs union, which eliminated the need for border controls. A British departure from the customs union would require a reinstatement of that border, with the risk of breaking the peace in Northern Ireland. To avert this, on 15 December 2017 the EU and the UK committed themselves to ensuring that the Brexit deal would include a solution to avoid any new border. This commitment is likely to prove a crucial aspect in the remaining months of negotiation. Theresa May has proposed a system that would allow the UK to maintain “regulatory alignment” with the EU customs union by collecting import duties for the EU at the UK border, along with a number of technical solutions to replace the need for a physical border. The Conservative party’s “hard Brexit” faction supports an alternative solution, where instead of alignment, the hard border would be avoided by a system of advanced technological solutions to monitor traffic and replace border paperwork. Given the technical complexity of such never-tried-before solutions, it is unlikely either solution will be ready for practical deployment by the end of the transition period, and might not start operating before 2022 or later. In mid-May, the UK media reported that the government had approved a plan to avoid a hard border in Ireland, though no details of this plan have yet emerged. It is likely to involve a version of the “regulatory alignment” already supported by the government. At the same time, hard-line Conservative brexit supporters have started expressing unease at how the government is handling the negotiations, and rumours have surfaced that they might challenge Theresa May in September. What will Brexit look like? In light of the above, it is clear that both the UK and the EU have some work to do before a clear picture emerges of the UK’s future relationship with Europe emerges. Uncertainty reigns in several domains, in particular trade. So far, the two sides appear to be playing for time. The transition period will allow further talks to continue even after the official “Brexit day” of 29 March 2019. The Irish border question might postpone a deadline to the solution even further. But the outlook has changed since 2016. Back in the first weeks after the Brexit referendum, the UK painted a picture of complete British departure from the EU customs union, which would have meant that the UK would have to negotiate a trade deal with the EU similar to that agreed between Europe and Canada. Today, the tone is different. The UK government is talking of ways of avoiding a hard border, suggesting that in the end, its relations with Europe might end up being more of a mixed system, combining elements of a Canada-style trade agreement with much closer arrangements in some specific areas. Outside of trade, the UK is likely to gain complete autonomy in its agriculture policy, with the government replacing the EU in managing the current system of agricultural subsidies. In fisheries, the situation is more complex, as reflected in the current negotiations on the topic. The UK will regain formal control on legislation on product quality and safety standards, though in practice its companies are likely to end up implementing most EU rules if they want to sell their products in Europe. The UK has already outlined plans to forge a deal with the EU to continue its involvement in the Horizon programme for Research and Innovation, thereby continuing to pay into that part of the EU budget. On specific issues, such as the Galileo satellite positioning system, the EU has indicated that the UK will not longer be allowed to participate due to security issues. But this could change if the two sides reach a suitable arrangement. On energy and climate policy, the UK is likely to pursue an independent policy. For the future of the climate negotiations, the UK is likely to work in close coordination with the EU. This article relaunches IPM’s blog after over a year of silence. We hope to provide more frequent, timely updates on issues that are of interest to our clients and friends. In recent years, a majority of European countries have experienced a rise in populist movements, a trend which is affecting national politics and even brought populist leaders to occupy important government positions. In Hungary, on 8 April the nationalist and populist Fidesz party won a two-thirds parliamentary majority, reconfirming Viktor Orban as prime minister. Orban based his election campaign on fighting alleged foreign meddling in Hungarian politics, in particular by financier George Soros, and on preventing refugees and migrants from entering the country. Since 2015, Poland has been ruled by the populist PiS Party, adopting policies that tend to reject international cooperation, set limits on freedom of expression, and focus on domestic issues. In Greece, the current government is a coalition between anti-establishment parties. It adopts positions that are often at odds with those of the country’s EU partners. In Austria, following a general election in 2017, the country is ruled by a coalition between the mainstream conservative ÖVP Party and the right-wing populist FPÖ party, with an anti-immigrant agenda. In the Netherlands, the mainstream conservative VVD Party of Prime Minister Mark Rutte heads a coalition designed to keep the right-wing party of Geert Wilders out of power. To win the election, Rutte adopted some of the anti-immigrant rhetoric of his right-wing opponents. Populist parties have appeared elsewhere in Europe, from Spain, to Finland, Norway and Sweden. Not to be undone in this competition, Italy has spawned not one but two populist parties. The election of 4 March saw big gains for both the Five Star Movement and of the League, while the two main traditional parties lost badly. The two parties are discussing a possible coalition government, which might focus on adopting measures against immigrants, promoting greater government spending, and challenging EU authority in economic matters. While the United Kingdom does not currently feature a prominent populist party, the recently deceased UK Independence Party (UKIP) fitted that definition during the years leading up to the 2016 referendum which resulted in the UK announcing its withdrawal from the EU. The last bastions of European stability and continuity appear to be Germany and France. However, in both countries populist movements have emerged. In France, the elections of 2017 saw the defeat of the country’s two main traditional parties, Republicans and Socialists, and the rise to prominence of two outsiders, the centrist Emmanuel Macron – who eventually won the presidency – and right-wing populist leader Marine Le Pen. In Germany, the right-wing anti-establishment AfD party made significant gains at the 2017 general election, with 12.6% of the vote and 94 members in the 600-seat parliament. Parties that defend the “ordinary citizen” against the power of the “elites” – an umbrella name which covers supposedly corrupt politicians, multinationals, and unspecified occult powers. Nationalist parties which claim their country is under attack from foreign threats – including immigrants, supranational organisations such as the EU, the UN, or the IMF. These two categories often overlap, and most populist parties include both elements. Both these groups of parties tend to be inward-looking, in the sense of being relatively uninterested in international issues. Many of the populist parties in power in Europe adopt inward-looking policies, and try to divert government expenditure towards measures to help vulnerable groups – in particular the unemployed and retirees. Election results in recent years suggest that in most of Europe, traditional parties are struggling to maintain their popular support. Many factors might be cited to explain this decline – including the financial and economic downturns of the past decade, increased automation on the factory floor and outsourcing of production to countries with cheaper labour costs, the long-term political and ideological consequences of the end of the cold war in the 1990s, the rise of social media, the refugee crisis that followed the civil war in Syria, and hypothetical Russian disinformation campaigns. The changes in government are already having an impact on EU politics. However, the impact on policy making has so far been much more muted. This is because EU institutions are somewhat shielded from political swings. The civil service plays a central role, and top civil servants are career officials, thereby relatively immune from changes in the political mood. This means that sudden swings in policy are unlikely as a result of political shifts in government. Nonetheless, over time the political changes will make their way into EU policy making. It is quite possible that over time, the rise of populist parties could result in subtle changes in the EU’s policy focus. Populist parties tend to be suspicious or outright sceptical of policies that would require them to spend money on international issues, or on issues which appear to be removed from the concerns of the ordinary citizen. On climate change, some populist parties are openly climate-sceptic. This is, for instance, the case of Poland. For instance, in energy policy currently the EU concentrates its efforts on market deregulation and coordination of national energy policies. A rise in populist parties might result in more attention being paid to electricity prices. On climate change, populist parties are likely to assign a low priority to climate-related policies, if these involve major costs or budgetary expenditures. Similarly, on policies such as innovation, transport, or industrial policy, populism is likely to promote diversion of expenditure towards meeting the concerns of the ordinary citizen, away from more lofty or long-term goals. a transition in the patterns and dynamics of power production – with a shift away from large centralised utilities in favour of a variety of alternative production centres, from industrial self-producers, all the way down to individual consumers with their own PV panels – the “prosumers”. All three these transformations are producing profound changes in the European energy landscape. The interaction between them makes it particularly hard to forecast the exact direction of the energy transition. In the oil and gas markets, the US has undergone its shale revolution, essentially securing it against the uncertainties of world markets. In Europe, the ripples caused by the US shale revolution, along with gas deals with various countries and enforcement of EU gas transmission and distribution rules, are gradually reducing dependency on Russian gas supplies, though for oil, Europe remains largely dependent on imports from major world producers. Compared to other OECD countries, the EU countries share a large, liberalised and increasingly integrated energy market. It is EU gas market rules that prevent Gazprom from forging monopoly supply deals with EU countries – prompting European countries to seek new intra-EU pipelines, and Russia to threaten to abandon the EU as a customer for its gas. And it is EU market rules that can facilitate the other transformations under way: large utilities have lost their monopoly status, leaving space for new and innovative market players. Before the launch of EU liberalisation in the late 1990s, most of Europe’s electricity systems were beholden to centralised, vertically integrated utilities. Market liberalisation helped set the conditions for the expansion of renewables. So far, the main beneficiaries of the transformation in Europe have been RES generators. They have benefited from relatively open markets and from favourable government policies such as feed-in tariffs, which are intended to promote renewable energy but also help Europe’s chronic dependence on imported energy sources. But Europe’s liberalised energy market can do more than that. It is often said that a common European energy policy is still hampered by the fact that the EU Treaty explicitly grants EU governments the right to set their energy strategies in full autonomy. However, the impact of the limited energy legislation that does come out of Brussels – from the energy market rules to climate legislation and state aids guidelines on RES subsidies – have had a major impact on the continent’s energy landscape. Over time, a convergence of policies is happening, partly because European countries, though autonomous in energy matters, already share so much in terms of economic policy and are increasingly interlocked politically, that energy policy making is is following a more general trend towards common goals. Thus, energy transition also means transition towards shared European goals. The current Polish government is an outlier in the EU, being the sole supporter of continued coal development and discouraging renewable energy development. Most other European countries are embracing an approach based on pragmatic support for renewables, combined with due recognition that traditional energy sources will remain part of the energy mix for the foreseeable future. This common trend towards low-carbon energy and energy security, combined with the EU’s energy market rules, can create fertile ground for the application of innovative ideas, some of which are already being pioneered across the continent. Energy storage is probably the area of greatest importance right now, and the one where the greatest opportunity for business innovation lies. Storage is necessary to make best use of intermittent energy sources such as wind and sun. It is needed to store power produced by RES installations at times when the sun is shining or the wind blowing while demand is incapable of absorbing all the RES supply. Batteries might never evolve to the point of storing the vast amounts of energy needed to power Europe’s economy during times of low wind and/or sun. But they are already being used for stabilisation of the electricity system, a crucial function to maintain reliability of power supplies as more and more intermittent RES come on the grid. Car batteries are one possible way to store renewable energy. Several Vehicle-to-Grid (V2G) projects have tested the idea of transforming Europe’s EV park into a distributed store of electricity to help manage the transition to renewables. The European energy market also sets positive conditions for companies to establish their own power production, which they can design to meet their specific needs while selling or purchasing any excess supply or demand. But for the above energy transitions to succeed in Europe, the European energy policy must evolve further. The Energy Union initiative of Commissioner Maros Sefcovic is reinforcing a trend that has already been under way for some time. But because all rapid transitions tend to be messy, unfortunately there are some losers in this process. Traditional European utilities are facing a period of crisis. Several are responding, as testified most visibly by E.ON’s decision to rebrand itself as a “green company”, putting its traditional generation activities into a slightly revised version of its former self. But the process of transformation is costing the sector billions. The current financial weakness of Europe’s utilities could undermine Europe’s economy. While RES are on the rise, they still provide just above a quarter of Europe’s total electricity generation, and 13% of total energy consumption. With EVs set to grow in number, electricity demand is set to increase significantly over the coming decade. For the years to come, Europe will still need varying amounts of coal, gas and nuclear to provide the remaining 75% of electricity. European policy makers should not forget this or they risk putting the future of the whole process in jeopardy. The rejection by UK voters of EU membership (Brexit) on 23 June was an unpleasant surprise for many in business and politics worldwide. The economic and geopolitical impact is already being felt, and will be felt well beyond the borders of the United Kingdom.